In our activities I like using the natural ingredients, something that can easily be found in the kitchen cupboard or in the garden. 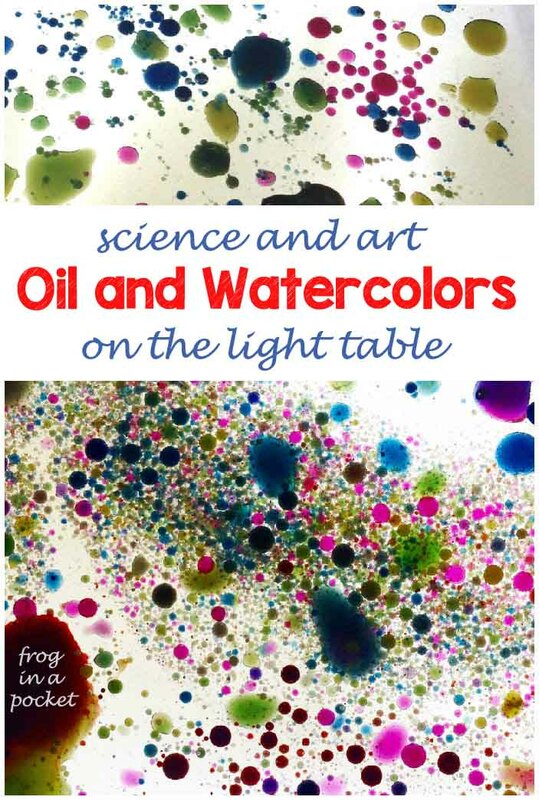 Low cost activities and lots of fun! 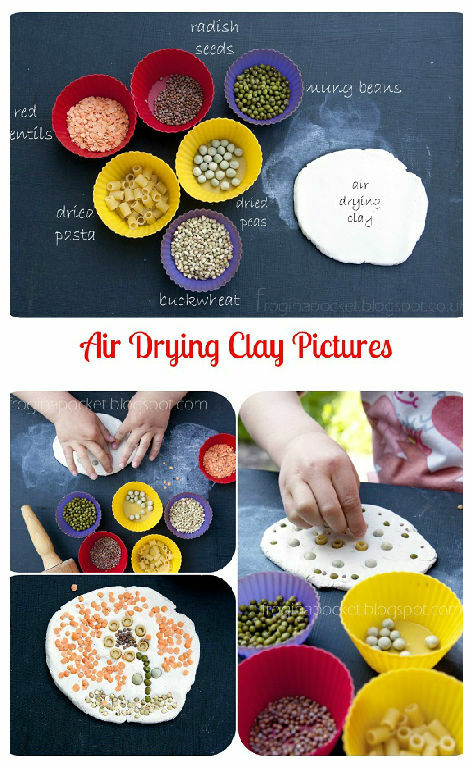 Today we made air drying clay pictures using some clay leftovers and different size seeds, beans and dried pasta I found in my kitchen. 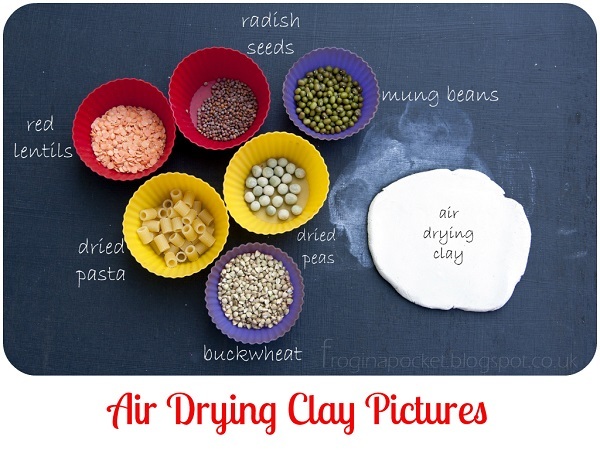 Simple gather your ingredients, roll the piece of clay and create your own pictures and patterns! I like using well known ingredients in a different way. Crating pictures with all these colourful bits helps child develop imagination and creativity. We talked about different textures and tried to describe them. We also talked about where the beans and seeds come from (great starting point to talk about plants growth). 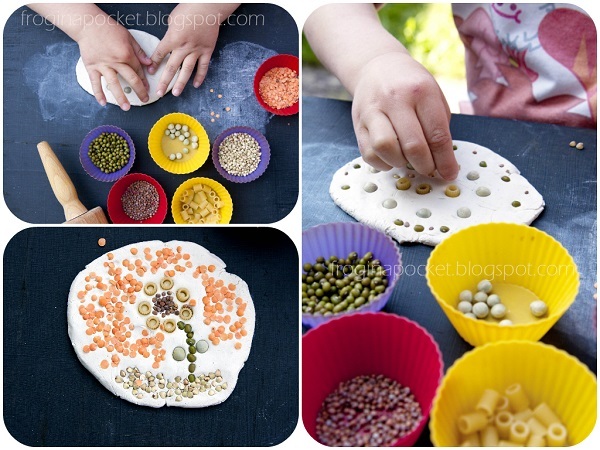 And all these tiny pieces, beans and seeds were great for practicing fine motor skills. Oooh! This looks like fun. I'll try this very soon with my son! Pinning! 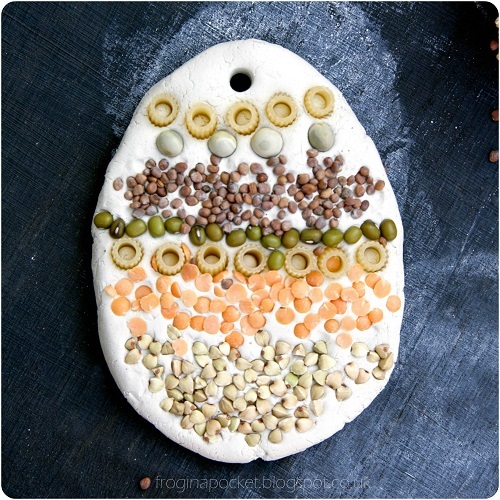 It is fun, my Mr Frog spent long time creating own pictures :-) Thanks for pinning!